Bringing in the potato crop the hard way! Thomas Ainsley, aged 82, inspects his handiwork in The White Bear Farm stackyard off South Back Lane. 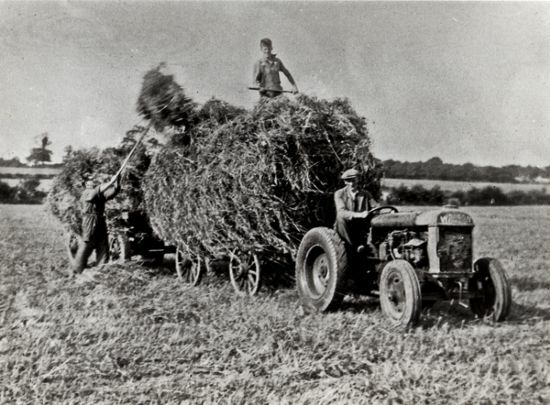 Thomas was Herbert Sparrow's Father in Law and a champion stackmaker. 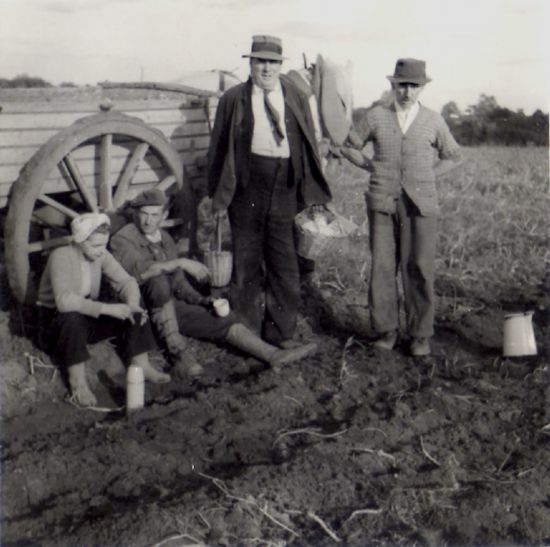 From L to R: Ian Hayes, Doug Sparrow and Bert Sparrow driving the tractor. Potato picking in the field opposite the Fox Inn. 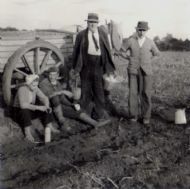 L TO R, Edith Pick, Steven Pick, Alf Laverack (Manor Farm, Stillington) and Mr Beck. 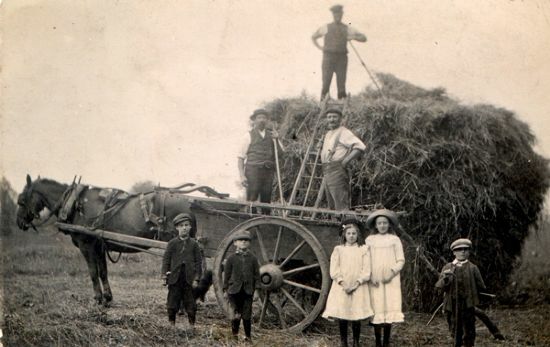 Possibly a photograph of the Gibson family taken near Stillington Mill. Arthur North, born 1890 Stillington, ploughing at an unknown location. Arthur was one of Stillington's World War One casualties. 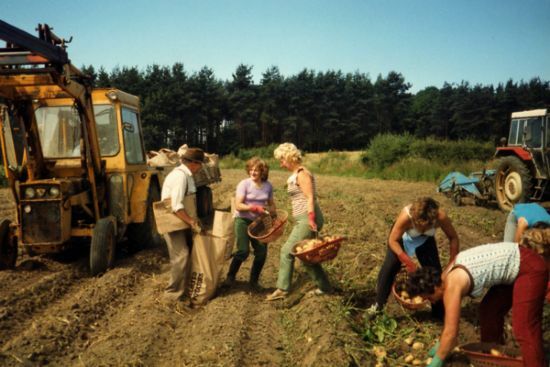 One of the last ever hand picked potato crops before machinery took over this backbreaking job. L to R: John Vester, Nellie Mulderrig, Betty North, Margaret Gabbitas, Iris North and unknown . 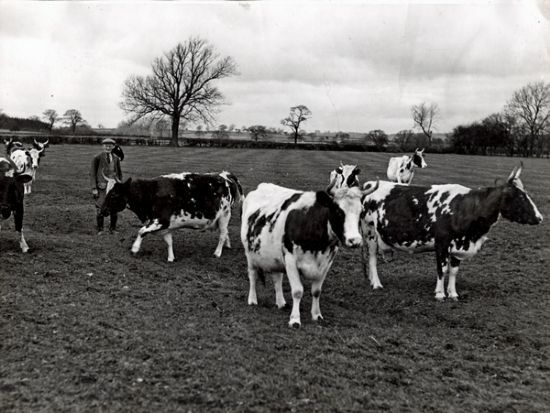 Bert Sparrow with his dairy herd in a field off Jack Lane, Stillington.